Not booked your summer holiday yet? Not to worry, here at Chalet Morzine we have an amazing offer for our last week available this summer 2018. From Saturday 11th-18th August on a self catered basis. What once was €3,950 is now €2,950 for rental of the whole property. Whether you are a family wanting to take the children on an active summer holiday or a keen mountain biker who would like to come and explore the array of trails Morzine and the Portes du Soleil have to offer, Morzine has it all. 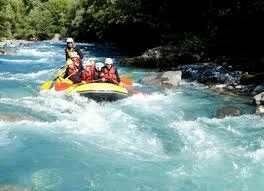 For families, Morzine has so much to offer and is a fantastic child friendly summer activity holiday destination. In Morzine’s Dereches park there are lots of activities such as horse riding, high ropes, kids outdoor play area and farm. There is Morzine’s swimming pool complex where you can enjoy the sun loungers and lawn sunbathing area while the kids enjoy all the outdoor and indoor pool has to offer. Maybe you have some family members that need a bit more of an adrenaline kick? Then why not rent a mountain bike, or try Morzine’s paragliding, Kayaking/Stand- Up Paddle boarding on Lake Montriond or even White-water rafting on Morzine’s river Dranse. I could go on but see it all for yourself on our Summer activities page and our Family Activities. Lucky for you, Chalet Morzine are an accredited participating accommodation provider to the Multipass Scheme. With the Multipass you can access over 60 leisure facilities all for €2 a day. This means you can get on a chairlift for a mountain hike in the morning, then have a dip in the pool finished off with a game of tennis in the afternoon… all for just €2!! 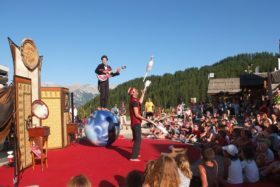 Happening in Morzine the exact week we have our special summer offer is “Kids Kingdom” an activity week for children. 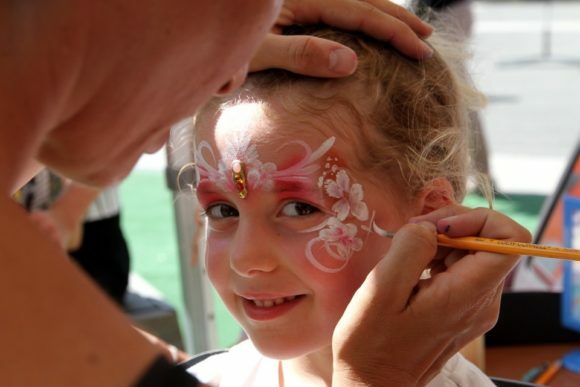 Aimed at children from 18 months to 12 years, the Kids Kingdom will have something for everyone including magic shows, bouncy castles, games, face painting, theatre shows and more. The best bit, its free! Check it out here. Morzine needs no explanation as a biking destination. However, if you are unfamiliar with Morzine’s amazing biking trails then you see our Mountain Biking page or you can read a blog from our very own in-house biker on our Blog page. To book this week from the 11th-18th of August you can contact Lindsey on her mobile at 0033 (0)6719 23377 or send us an enquiry here.